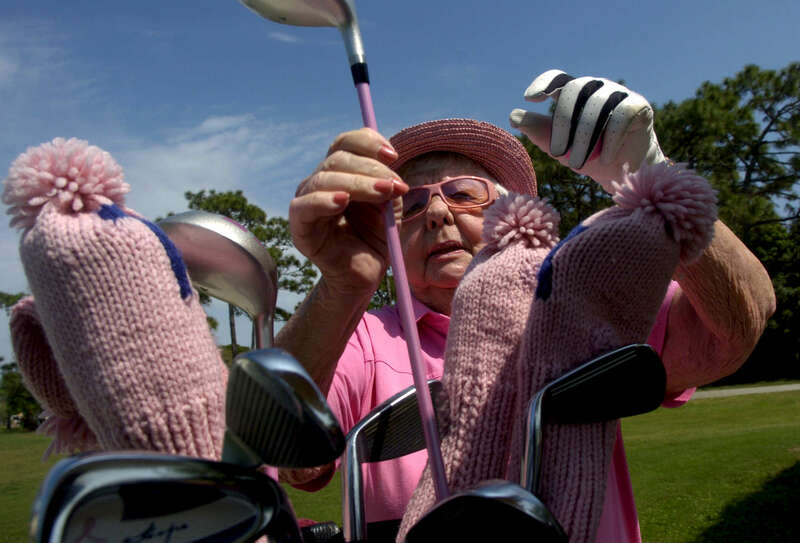 Ruth Wagner of Port Charlotte pulls a pink-shafted golf club from her bag at the Venice East Golf Club Wednesday afternoon, March 5, 2008. Wagner lives in a pink home and estimates that about 80% of her wardrobe is pink now that she's retired. "I wore so much dark colors in business - brown, black... they didn't like pink." She hits the links twice a week and also enjoys mahjong and bridge. "I'm not a sit at home type. I don't want to watch the box," she said.